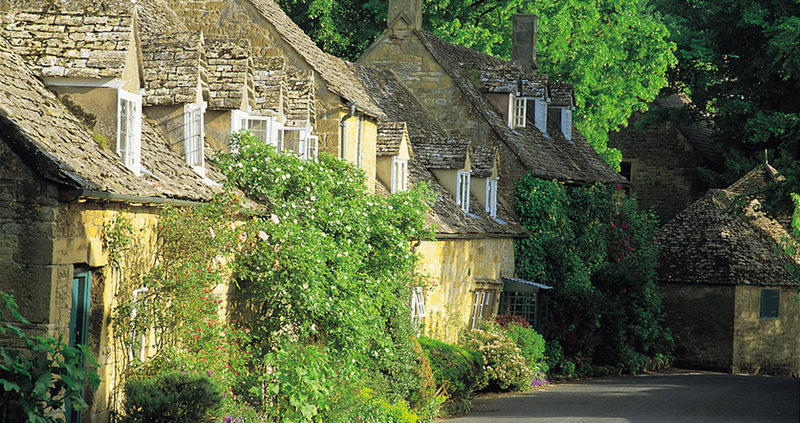 The charm of the Cotswolds is undeniable. Quintessentially English, at every turn you can explore rolling landscapes, lush greenery and stone villages. Luxury hotels in the Cotswolds are the perfect addition to such an escape, and here at Lords of the Manor we love nothing more than meandering through an area that is thriving with history and picturesque sights. Your perfect weekend break is best spent exploring, so here is our guide to the perfect weekend in the Cotswolds. For those of you that enjoy walking through nature and taking in the relaxing sights and birdsong, Warden’s Way is the perfect long walk to start your weekend for both keen ramblers and those who like a stroll. Whatever pace you walk at, this walk can be tailored to your own timeframe as you take in the fresh air and add beautiful photographs to your holiday album. Starting in the village of Bourton-on-the-Water you’ll pass through a series of villages that wouldn’t look out of place in a Victorian novel. Whilst there, you can detour to visit the Cotswold Motoring Museum before seeing Lower and Upper Slaughter, Naunton and Gruiting Power. You’ll reach Winchcombe at the end of your 14 mile walk. Just 27 minutes by car, Chedworth Roman Villa is perfect for learning more about the Roman history that is prevalent throughout the country. Located in a Cotswold valley, this villa is one of the grandest Roman Villa’s that remain in Britain complete with an on-site museum and Nymphaeum water shrine. You can discover incredible Roman mosaics and walk the woodland trail that sits behind the archaeological site, making this a must-see for Time Team and ancient history enthusiasts. Head to Stow-on-the-wold and you can reach the Market Square in just 10 mins by car. An important town in history, the vast Market Square is still thriving and boasts an ancient cross, town stocks and an age old elm tree. Surrounding the square is a plethora of shops and townhouses that would delight any visitor. You can explore fine antique shops, galleries, gift shops and craft stores before heading off another delightful walk around the Cotswolds countryside. Be sure not to miss out on the opportunity to partake in a true British pastime while you visit the Cotswolds. At Lords of the Manor you can indulge in a British classic – the finest Afternoon Tea Cheltenham has to offer. If you are going to try a true staple of English life, then you must do so from a Michelin starred kitchen. Rest your tired feet and relax in a truly divine setting, sampling finger sandwiches, fresh scones, clotted cream and strawberry preserve. You can also indulge in a Cream Tea for a lighter appetite without sandwiches or have a glass of champagne to toast in addition to tea or coffee. With a vast selection of loose leaf tea, you will feel every bit the Lord or Lady aristocrat once you’ve tried our delights and discussed your adventures. If you’re looking to visit the much loved British countryside, then you simply must stay at one of the best hotels in the Cotswolds. Thanks to our Pure Indulgence Offer, you can enjoy your break in ultimate luxury. Experience one night’s accommodation, Champagne Afternoon Tea on arrival, Full English Breakfast, Tasting menu and a bottle of Champagne with homemade chocolates waiting for you in your bedroom. Call us on 01451 820243 or book direct here today.